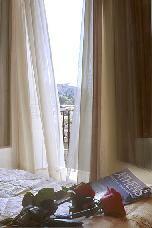 Operating throughout the year Athos Hotel is located in the historical and picturesque area of Plaka. At walking distance from all public transport (metro, train, bus, tram) as well as major historical monuments, with major point of reference the Acropolis. Recently renovated and modulated as a very nice Boutique Hotel, ATHOS ensures a pleasant stay into a very friendly environment with hallmark the intact, professional and very amicable services of the specialized staff. For clients pleasant stay, all the rooms are containing mini bar, direct dial phone, TV, air conditioning, high-speed internet connection with data ports of ADSL 512 type, safe box, hair dryer, and toiletries for the bathroom. 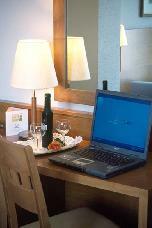 Our Hotel consists of two different types of rooms, the standard and the superior. Both versions have the same equipment. 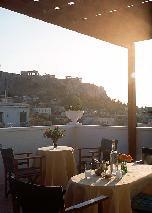 The advantages of the Superior rooms are the greater comfort and the private balconies with the enchanting view of the Acropolis. 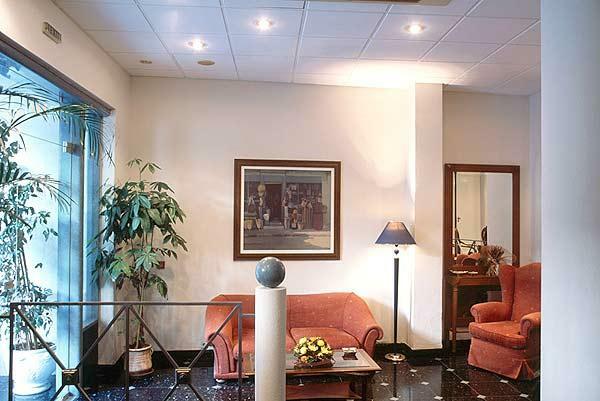 Among the lobbies of our Hotel the Roof Garden is of significant importance. 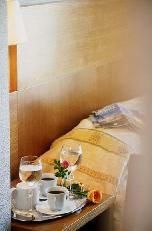 It is located at the 6th floor of the Hotel, where our clients can enjoy their drink or coffee relishing the unique tranquility and the panoramic Acropolis view. ATHOS Hotel is located in Plaka, the center of the ancient city of Athens, a picturesque and secure area for your strolling. Noteworthy monuments that attract the attention of our clients are the Ancient Market (Agora), whose history goes back to the Neolithic times and comprises monuments of different periods from the classical to the 11th century A.D., the architectural monument of the Ancient Roman Market, the Gardens of Zappeion, the Marvelous stoa of Attalos, the Kapnikareas Church, Lysicrates monument, the Acropolis, and several other sites which attract admirers from all over the world. Είστε ιδιοκτήτης ή διευθυντής στο ATHOS HOTEL; Εγγραφείτε τώρα για δωρεάν εργαλεία, που μπορείτε να χρησιμοποιήσετε για να βελτιώσετε την καταχώρησή σας και να συνδέσετε την ιστοσελίδα σας και το σύστημα κρατήσεών σας.